It’s time we gather together. Listen to some great rock n roll and hang out with friends and family! 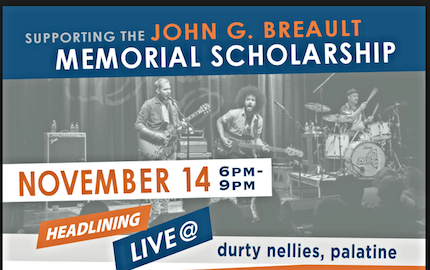 We will be honoring John G. Breault on November 14th and raising money for the John G. Breault Scholarship Fund. This scholarship is in honor of John, who spent 35 years at William Fremd High School as a dedicated teacher and devoted guidance counselor. He was committed to guiding students through their high school education, seeking out those who needed extra assistance, and preparing them for post high school studies. The inaugural event was held on November 2013 with over 200 people in attendance. 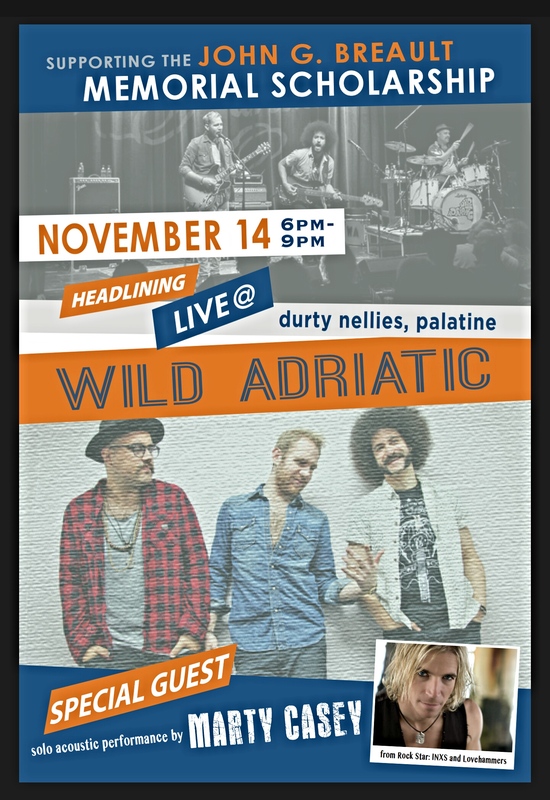 This year we have a brilliant New York band called Wild Adriatic headlining. And, we are very excited to have special guest and one of Chicago’s favorite musicians, Marty Casey! The cost is $25 at the door. All of the proceeds are going to the scholarship fund. The event is hosted by music curator Chris Bro of ALL THINGS NEXT….helping you find your next favorite thing. Spin to Break the Cycle!! Fun Parties for Great Causes Around Chicago That I Shared on the Radio!